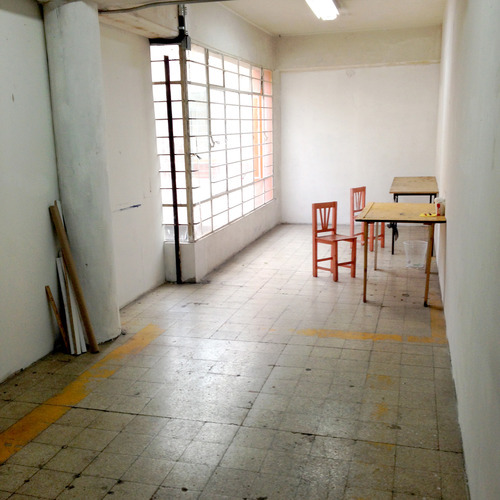 This week Laura Cortes Hesselbach my coordinator from SOMA took me over to my studio at Oficina de Arte. 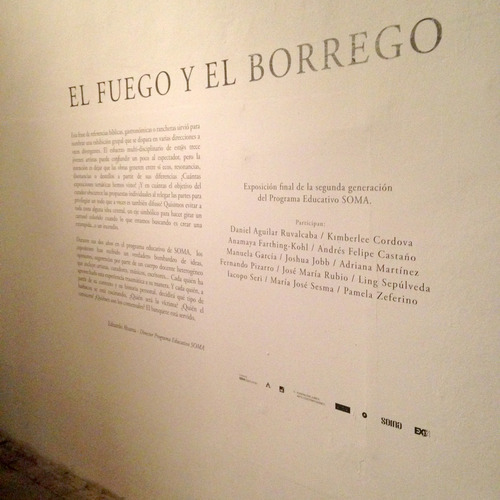 It is a great space currently directed by architect Lorenzo Rocha. He showed us around and told us about the space. There is a project room the artists can use to document work and stage small exhibitions and about 7 studio spaces housing a variety of local and international artists. Its location is very central just off of the city center known to many as zocalo or centro. Below the studio is a bustling market, where you can find almost any material you can think of. We met the current group of students as the past class gave us a tour of their show. I was impressed with the works and the space. Two pieces specifically stood out to me. One was a set of cymbals made of lead from bullets by the artist Andrés Felipe Castaño. Initially they looked like ordinary cymbals and a video played in the gallery documenting a performance which left them looking droopy and sagging. The other work was hard to document but very interesting. 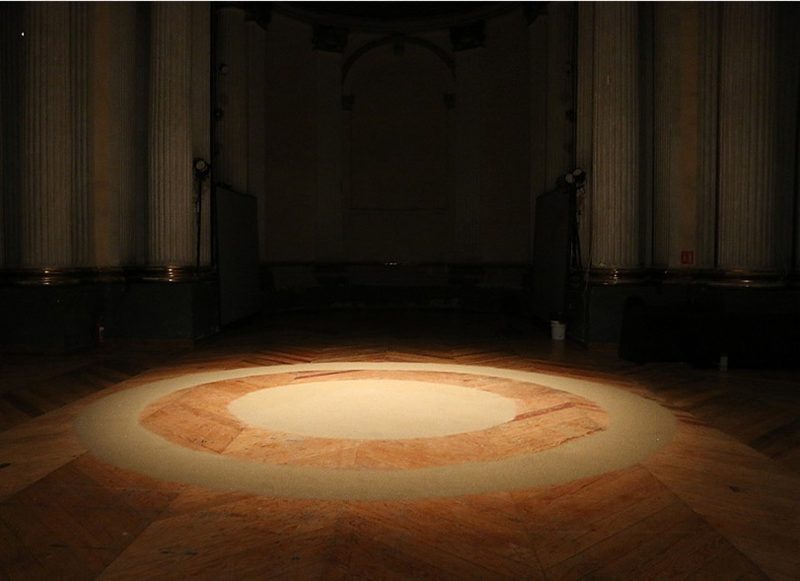 The artist Joshua Jobb took coins that were no longer in circulation and ground them down to dust, then spread that dust in a circle on the floor, the dust drawing will change over the course of the exhibition, and was placed to interact with religious imagery and architecture of the space. The students did a good job of activating the space and it was interesting to see such contemporary work in such a historic location. It should also be mentioned that directly across the street to Museo Ex Teresa is the apartment where Francis Alys lived upon moving to Mexico City.